Even the most fervent political party supporters will struggle to avoid acknowledging the general disillusionment and feeling that many people now experience with British Politics. The fact is that all of the mainstream Political Parties – even UKIP, will continue the same way that they currently do so at their own peril. For many of us, seeing yourself as being cut off and without even the remotest hope of being able to influence anything in Government is not a pleasant experience. Least of all when we see decisions being made which we can in no way relate to, or changes taking place in our own communities or neighborhoods which simply have no reflection on what we or anybody else that we know seems to think. A lot of people toy with the idea of putting up or shutting up where today’s political mess is concerned. It is also a pretty safe bet that whilst they may not openly talk about it, many of the people that you know will have experienced one of those moments where they just ‘know’ that things could somehow be a lot better and that the way things are today, simply aren’t right. Some already have the platform to speak loudly about the injustices of a political system that serves its own interests before anyone else. Yet many more normal people outside the world of politics and celebrity are frustrated by the seemingly endless status quo where nothing ever changes and politicians happily tell us that everything is improving when quite frankly, just about everyone but them seems to know that it isn’t. 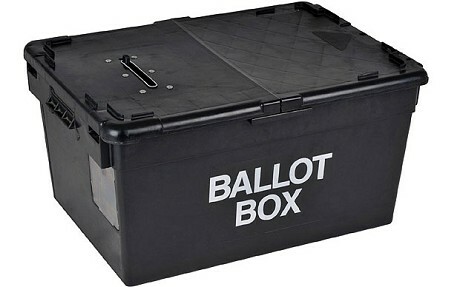 It comes as little surprise then, that in Elections, a growing number of people are voting for Parties and Independent Candidates outside of the ‘traditional’ remits of the Conservative, Labour or Liberal Democrat Parties, and that there is in fact a growing number of political parties being established right across the Country. Very few politicians are prepared to openly acknowledge the lack of balance and consideration for the consequences of ill-considered policy making throughout Government. But those that do almost certainly share the desire of all people outside of politics to see something different to what everyone else today seems forced to experience. However, those that do understand both the situation and the way that British Politics works will also probably question just how much benefit the creation of a plethora of new movements will bring to us all, when what the UK needs is change of a very radical and meaningful kind. Change that we all need to experience right now. To get some real perspective on the impact a new political party is likely to make, the history of UKIP provides a very clear guideline. Born from the embers of the Anti-Federalist League in 1993, it has taken the Party 21 years to get its first MP genuinely elected to Parliament and then, only through the focus of the electoral magnifying lense which is a Parliamentary By-Election. As a single-issue party, it is arguably only what would be at very best a rare and perhaps unique combination of a cause célèbre – which gives UKIP a nationwide profile – and the current political climate that leaves the electorate looking for change, which now places the Party in a position of being ‘mainstream electable’. Had Europe not been the UK’s political bogeyman for such a long time, UKIP or indeed the anti-European movement itself would have almost certainly been absorbed by one or perhaps all of the main parties long ago, if indeed the creation of a new political stream beyond that of the others had been necessary in the first place. This fact probably demonstrates the greatest threat to any new party, as finding traction with any issue that is palatable in mainstream thinking is unlikely to take place much before one or more of the other Parties adopts a position on the same footing. We only need to observe the way that the Conservatives and Labour are struggling to regain or rather recapture the initiative from UKIP over issues such as Immigration in recent weeks to understand what happens when an issue finds its way from the outside into what political commentators might call the centre ground. However, in this instance, we are again seeing party political machines maneuvering themselves with the objective of securing future power, rather than engaging in any kind of meaningful change that demonstrates an understanding of the real issues which sit behind the public discontent. Were it not so, David Cameron would hardly have been off to Europe to ask the permission of 27 other Countries to change laws which the electorate of his own Government so clearly want. The Party Political Paradox: We want change. We all know this. We also know that the establishment isn’t working for us. But it’s called the establishment for a very good reason. When you consider the history and conditions which have supported the longevity and then the rise of UKIP, you soon begin to realise that the biggest problem facing any new party will be its ability and likelihood of it becoming big enough to reach and engage enough people to gain the national level of recognition and momentum which could see it effect the kind of change that we all now actually need. Nobody should be under any illusion that UKIP may well be poised to win anything from a handful to perhaps 30 seats in May 2015, but that in doing so, the very best that it could hope to achieve would be to win the support of the biggest Parliamentary Party for perhaps one or two key policies, as it then sells itself in compromise against everything else, just to have that moment of power. In reality, this is an opportunity that UKIP may otherwise never have, as the de facto choice or established parties will continue to morph or adapt their policies to be seen to answer the ‘UKIP question’ and in doing so, work to assure themselves a working parliamentary majority again at the earliest available opportunity. You may think that one moment is all that it will take. But we are all already experiencing the fallout from the political stalemate which ensues from a hung parliament, and this is at a point when most of the Westminster political Parties are culturally the same, even if their philosophical viewpoints don’t quite appear to match. The hard fact is that we are facing a situation where we need a majority of MP’s to work together to address all the issues and to change all the policies which will impact upon those issues, whilst ensuring that the impacts of those changes do not then themselves cause other problems that people looking for balance and fairness in their lives simply do not need. The situation creates a dilemma and significant paradox. We are all either consciously or subconsciously aware that we do as such need political parties in the sense that they exist today – or an acceptance and appreciation of common ground between a majority of politicians, in order to effect the change for the better that we need within a genuine democracy. However, we are all just as equally aware that it is being of the establishment that provides the platform or powerbase to enact change; ground which is currently infested with a self-serving political culture and party political system which quickly excludes voices for change and sings the song of populist thought whilst giving it nothing more than a hollow meaning. So how can we really win? The circumstances surrounding traditional politics in the UK dictates that it functions through a culture of compromise. Furthermore, the contemporary Political Party machine puts submissive compromise at the core of its recruitment and management processes. However, if compromise is necessary in any way at all, the policies which result will not have genuinely been created with consideration of the best interests or of the consequences for all truly in mind. 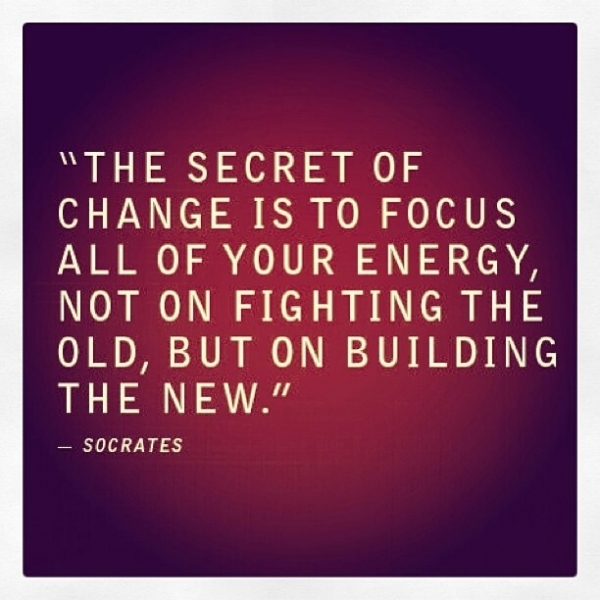 In order for us all to win, it necessarily requires that there is a genuine change in mindset, whether that be for the incumbent Political Parties – which would arguably be a much more productive situation for everyone; or that change itself manifests within the many new and existing groups and independently minded people out here in our communities who so desperately want to see that change, that they are ready to stand for political office. You may have heard the saying ‘you can’t beat the system’, and if you have come up against the way that Government and all things Legal work, you will probably be able to see the truth in this statement – even when you know that the system is itself flawed and fundamentally wrong. For those who have been burned by the frustrations and the ‘banging your head against a brick wall’ that comes with it, there is no pleasure in seeing new and enthusiastic people entering politics who either quickly become disillusioned with the realities of the system, or simply buy in to a culture where all those that follow people who lead only for themselves then come to live and believe the idea that ‘this is just the way that things are’. It may seem that way to those who are prepared to accept the status quo as it is and not take any risks. But that simply isn’t the truth, and all it would take is for enough of the people already within the system to say ‘no more’ for a real difference to begin unfolding. The easiest way that we could create change, would be for that change to come from within the system itself and that would mean influencing politicians at all levels by becoming the voices that they have no choice but to listen to, i.e. part of the Parties themselves. Today we are experiencing the outcome of decades of the development of a party political system which favours the ascendency of a whole generation of politicians who treat political office as little more than a job and career, rather than being the responsibility to the electorate that most of us outside of the ‘bubble’ know that it should actually be. Most Westminster party politicians get selected and promoted thereafter by saying and doing the right things for the right people, and most sitting MP’s today will have made it to Parliament by going along a career pathway which equips them to progress within the system extremely well, but gives them little working knowledge of what the real world is like outside. How can they make genuinely good decisions effecting the lives of others when they have no real life experience themselves? The very sad and highly regrettable reality is that getting enough of our sitting MP’s to change and give the British people the real voice that they should have through a majority is very unlikely. The political culture of today says ‘don’t rock the boat or you will get thrown out’ and very few politicians are brave enough to take on a system which takes control freakery into a whole new realm. This is where the creation of a new movement or party becomes the attractive option. But with the realities of establishing just one party that could make a difference covered above, there has to be an acceptance that creating a whole plethora of organisations will in time prove to be no more effective than getting a similar number of independent MP’s elected to Parliament. On their own, small, localised and local community-based-issue parties will very occasionally gain enough momentum to get an MP Elected. But as just one of over 600, you can soon see how little chance there would be of making any measurable kind of difference for us all. Working together is however a very different situation and if it were to be the case that the genuine commonality could be found between all of the disparate groups that are currently ‘out here’ already, or which may be launched at some point in the future, the potential would then exist for something very special to happen. Knowledge of the Net and Social Media makes the task sound very easy. But without a formula which lights that spark between a whole range of people who have had the independence of mind and motivation to get something ‘of their own’ started, the prospects for success are pretty slim. After all, some may simply be falling into the trap of thinking that politics is all about one idea ‘winning’ against the ideas of someone else and it is likely to be the case that for many, that very idea is based upon an issue which is personal to them and perhaps just a few people that they know. The truth of the matter is that if every politician made every decision and promoted every cause on the basis of what will serve the best interests of all, whilst also considering and making allowances for the impact of those decisions on everyone else as they do so, we would no longer require left-wing or socialist politics, parties of the centre ground, or indeed the politics of the right. Tribal politics makes debate a competition, rather than a process of exploring the methods and plans which will genuinely solve the problems that we all face. The cold hard reality is that however fair, just or right the ideas might be which underpin the motives of a new party; without losing the idealism, the philosophy and the ‘my idea is better than yours’ mentality, any new movement is unlikely to prove itself to be any better than the Conservatives, Green, Liberal Democrats, Labour or UKIP Parties given time. As a culture, we have been conditioned to look at everything we experience in terms of how it either relates to or affects us personally. This has taken place at a subconscious or even subliminal level and anyone who really wants to effect change by creating a new political movement, must themselves become mindful of the processes which sit behind this for themselves, and then begin encouraging others to also be mindful of the impact that everyone and everything has on us, the people in our lives and the world we live in. This is no mean feat and has to be achieved without getting sucked into any of the idealist elephant traps which litter this road, such as green energy, which while being very laudable, has significant practical implications for a society of 60 Million+ people and a situation which simply doesn’t advocate the immediate binning of all other forms of energy or raising taxes on other things to subsidise it. More and more people are waking up to the lack of balance and fairness in their own lives and those of others. But just as in the case of the Hundredth Monkey or what we colloquially call ‘memes’ that virally attract attention in what seems like the blink of an eye, the kind of awakening and preparedness that we are discussing here will have to reach a point of critical mass or the seminal moment when a positive direction of travel which cannot be influenced by any of the powers that are aligned against it is achieved. Regrettably we have to accept that this may not be a realistic prospect on an organic basis alone. Bleak as it may sound and as unfavorable as it may be, change itself may well have to be precipitated by a meltdown or history-changing event which opens the general population to thinking in a very different way. One that also leaves politicians who are not prepared to put the genuine need of the electorate first, with no power to prevent the ascent of those who are. Today, there are a considerable number of issues which at one degree or another could easily prove to be the catalyst or forerunner of an event, or series of events which create the seedbed for this situation. 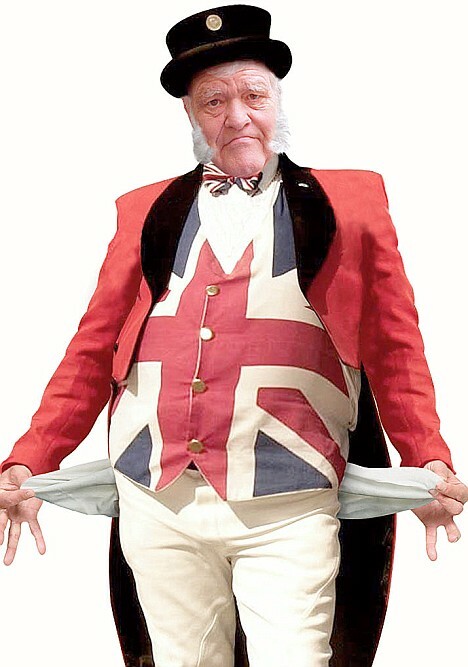 The economy: The UK is effectively bankrupt and accumulating debt at an unprecedented rate. Politicians are continuing to write cheques on the basis of winning elections, rather than doing what they really need to do. The Chancellor’s spending spree this week does not reflect the perilous state of both the Deficit and the National Debt and the irresponsibility of thinking that borrowing can continue to grow at the current rate, just to keep a small number of people in power takes stupidity to a whole new level. Interest rates rising alone after the next General Election could be enough to blow the Deficit wide open and to a level which cannot be sustained by putting the problem off for someone else to deal with. What happens when the Government can borrow no more? The Cost of Living Crisis: Beyond the Labour Party’s attempt to hijack a real issue and hollow it out for political gain, the disparity between rich and poor, the housing crisis, price rises on essential goods, cuts in public services, energy prices, low pay, the broken welfare system, non-reform of Banking and the City, and the cultural inclination to look at every transaction and relationship in terms of the profit it will make, could all lead to civil rest of a kind which would eclipse the Summer Riots of 2011 and potentially make Revolution seem like a very real prospect. ISIS & Terrorism: We really do not know what lies ahead and what the impact will be of the growth of this rogue state, and indeed what its real impact will be upon our own society if terrorism should return to the UK at any great and continuing level. Other: Issues such as the overextension of ‘rights’ and what this is doing to our society could also have an impact of a kind which right now may seem fanciful to those with their heads buried firmly in the sand. The West’s deteriorating relationship with Russia and Ebola also come to mind, and whilst it may sound alarmist to even suggest thinking about the realities which could all lay behind, the fact remains that any of these issues could blow up into something which could become very meaningful to us all at any time. We do need new people to come forward; to bring change and to introduce a new dimension in politics; to create a new paradigm which genuinely serves the best interests of us all. But those who want change also have to see the situation for what it is, and ‘play the game’ that it has all become. As a population, we most certainly do deserve something better and it is possible to have it too. We just have to be realistic about the route which we will have to travel to get there and what the true cost and implications of that journey might be. But if you are thinking about starting a party or standing in an election and you think that your own ideas are the best, or that your own interpretation of someone else’s political philosophy is the only way we will win; the fact is that we are already one person nearer to everyone losing a whole lot more. Bankrupt Britain: Is the death of Local Public Service provision avoidable and will it lead communities to provide their own not-for-profit services? Whilst it may not be generating the media frenzy or sensationalist prose that usually grabs everyone’s attention, recent days have seen a number of different stories emerge that confirm much about the state of Local Government and the services we contribute towards with our Council Tax. The common theme is of course money – or rather the lack of it. Those of us taking the collapse of local public services seriously may already be well aware of the perilous state of funding and how bleak the outlook actually is. However, despite the many cuts and reductions in services that people have witnessed across the UK already, it is the continuing reliance that today’s politicians have placed in using yesterday’s methods to solve tomorrows problems should perhaps give us even greater cause for concern. This week alone, one Police & Crime Commissioner covering a Conservative area has suggested that he will seek a referendum on raising the local Police Precept element of Council Tax by no less than 25%, whilst the Leader of Newcastle City Council is now on the record as suggesting that the reduction of funding may soon lead to social unrest, with an expectation that an incoming Labour Government will simply change the ‘settlement’ – and thereby solve the problem after May. Whilst both of these Politicians are in unenviable positions, neither plan would work in the best interests of the electorate, even if they were to be seen to solve the problems in the immediate term. And by immediate term, we are probably talking just 12 months before the very same problem is there to be solved all over again. Adding yet more to the Tax burden of individuals and households may be an easy decision for politicians, but isn’t sustainable for the people who are paying. Meanwhile, more money coming from central Government when the Country is already effectively bankrupt spells disaster of another kind, as the accumulation of National Debt simply cannot continue with each successive Government that comes along attempting to shelve today’s problems for tomorrow by printing money like it was all some kind of game without any real cost. The system of local public service delivery is broken not just because of a lack of funding today, but because of decades of mismanagement focused on targets, working conditions and the development of the protectionist culture which serves everyone’s interests but those of the very people who the services were initially created to serve. These cultural and institutional problems have not been created locally, but they are certainly propagated locally. One of the most serious ‘injustices’ served upon every Council Tax Payer, is the seismic amount of our contributions that actually go into the Local Government Pension Scheme. It has increasingly done so since the then Labour Chancellor Gordon Brown raided Pension Funds in 1997 and left the general public to pick up the tab for the subsequent deficit which would otherwise have surely obliterated gold-plated Local Government Pensions. It would certainly be advisable to have a look at your Local Council’s Annual Budget and see just how much of your money goes into this Scheme. A good guess would be that rather than being anywhere near the red, your local services would be well and truly in the black if you weren’t funding someone else’s retirement plan, just because of the last Labour Government’s fiscal free-for-all, which removed many of the regulations that actually helped a great many of the very people who supported them. Solving the problem of how to afford what local public services cost us without losing services, reducing services or there being a need to dispose of assets which basically belong to us all, may have already reached a stage where it will seem impossible to do so without the measures already discussed. But with such options not being real choices, we will all soon have to accept that the way local public services are delivered is going to change; and that the change that comes may not be in anyway better. Service sharing between Authorities and even Police Forces is now well under way and is likely to accelerate significantly as the reality of the UK’s financial predicament continues to bite hard. However, the distinct irony of this pathway is that sharing services does indeed take the management and handling of public services further away from the people themselves. And the point should not be lost on anyone that the real cause of much of today’s political disquiet – i.e. taking decisions further away from people will only be made worse by what is yet to come as a result of this. The political and government infrastructure that could have solved problems like those raised by the Scottish Independence question has already existed for at least two generations in the forms of Parish & Town Councils, District Level Councils and County Councils. The problem is that Westminster based politicians do not want to empower local representatives at any cost. Whilst continually paying lip service through concepts such as ‘Localism’ – which has been such a big sound bite of the Coalition era, the reality has been that all changes within Local Government have simply been pushing more and more power back to London, rather than devolving local decisions to local people as any Government focused upon what is really best for the electorate surely would. This reality may well give the lie to the ‘vow’ which we all awoke to on the morning after the Scottish Referendum. It almost certainly paints a picture which doesn’t look good for us all locally. But when local politics is itself arguably just as rotten and as focused on itself as Westminster is, what can we really expect? The reality of what lies ahead should hit us hard, because much of what we today take for granted in terms of services supporting both communities and individuals may soon be simply unaffordable – even though we seem to be paying through the nose for it. With Government Organisations and structures maintained by a culture which nobody is willing to reform, Local Authorities are likely to lean ever more heavily in the future upon contractors and trading companies. This is a considerable leap in the direction of privatisation and one which could very quickly lead to the token ability of Local Council’s to affect change and decision making on the part of the communities that they represent to be seen for what it really is. It is a very real prospect that the only services that many people perceive as being what they receive for their money will be handled by private contractors. Companies who are delivering services to the public whilst making a profit at a lower price than what it would cost the public to deliver itself. With even fortnightly bin collections now at risk, it is not in any way hard to imagine paying for your rubbish to be collected by a company you pay directly – as you would do with electricity, gas or your phone. Indeed it may be little accident that ‘utility’ companies already run such services on behalf of Councils and many of us will quickly wonder what we are paying Council Tax for if we don’t see any Police on the streets and have our rubbish collected by someone else. Without immediate and meaningful reform, it is a good guess that social enterprise will be the only way that we will be able to have local public services delivered, which are seen to be free at point of delivery or kept at a cost which is both affordable for users and sustainable for the organisations delivering them. This is unlikely to be restricted to just local service delivery, and whilst utilities, transport and communications are currently little more than the cash cows of the City and its Pension Funds, keeping it real dictates that sooner or later the political classes will have to accept that allowing our society to function at its most basic level requires nothing less than that all services provided for the benefit of the wider community and the individuals within it must be provided on a not-for-profit basis and with best value to the end user firmly in mind. Regrettably, with much of the infrastructure already disposed of which will facilitate this at National Level, and the same process now progressively happening through the back door at local level, it is communities themselves that may well have to raise the funds to create the new trading companies that will do this. With crowd funding a good example of the options now available, it is certainly possible to do so. But as we also wonder why we are paying more tax on everything but receive even less for what we give…won’t we all be asking the question why? We have so much news available to us now that it has become very easy to miss the stories which may fail to catch the public eye. Away from the headlines today, some of our news sources have been covering the growing row between US President Barrack Obama and the Industry Leaders controlling the supply of Broadband Services in the United States. Obama appears to be pushing for a system of regulation which will ensure the same level of supply across the Net to all customers, whilst the Industry itself is apparently looking for its own kind of controls which will allow differing levels of supply – and ultimately a ‘fast lane’ or optimum service for those to be made available for those who will pay for it. On the face of it, this could immediately sound like something and nothing. We do after all have a whole range of choices when we buy or arrange our own internet packages and right now, it now seems pretty normal to pay for every little thing that we have. However, whilst the speed of the roll-out of superfast broadband leaves many of us knowing only too well that different levels of service currently exist and seem to leave us with little choice, this is in itself just an evolutionary or developmental stage of provision. It is much like the experience of the switch from analogue to digital has been for those of us who used the Web from the beginning, and can still remember the rattle and hum of the tones as we hogged the phone line and dialed-in. We may not like it and in an age where we have been conditioned to expect everything at the touch of a button, slow internet is beyond frustrating. But right now, we are accepting of it, as we are culturally acclimatised to accept that there is a direction of travel at work, which will only see services improve. (Yes, 4G apparently will at some point exist, even if you have already been paying for it for many months…). But what would it mean to you if the next generations of technology were simply kept from you, when you knew that they existed and other people or businesses had ready access to them? Your immediate thought might be that you are pretty happy with your iphone 6, or perhaps a Galaxy Smartphone, and that will do you just fine. But technology is moving apace, and if you were to work on the basis of Moore’s Law, which indicates that the speed and capacity of technology doubles approximately every 18 months to 2 years – which affects functionality as well as speed, you can soon begin to imagine what you might be missing out on by the time you are thinking about the phone you will be able to buy AND operate fully in the year 2020. Apply this to the services you receive through broadband too, and there is perhaps no need to say anymore. The speed of communication through information technology mediums has been and remains a game changer which has impacts upon us all, usually in ways that leave us feeling completely untouched. However, it is this very speed, and the capacity to move significant amounts of data from one location to another – perhaps even across the world, in timescales that as humans we at present still remain cognizant of, which have for example equipped money markets and traders to create industries within industries which literally create money from nothing as stocks and shares change hands with the potential to do so again and again over the course of a minute, whilst speculators also ‘bet’ on the transactions and the way their vales will go over the same period of time. 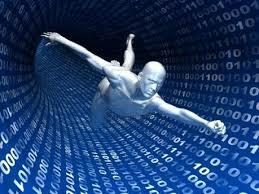 Speed – and therefore time, is increasingly becoming worth money where communication is concerned. Whilst this may not be a thought that drags many of us away from our phones and iplayer-streamed episodes of The Big Bang Theory today, it will surely stand to reason that those who supply much faster internet services will see the opportunity in being able to charge a considerable premium for the product they supply tomorrow; whilst those who have the most to gain from the almost guaranteed technological leaps that are coming, will already possess and indeed have the most to gain financially from paying what will to them be trivial sums. Not a problem for many of us today. But if the supply of service did really become as diverse as it could, there is no reason to believe that like in many other areas of contemporary life, cost will not quickly price large numbers of people out of the latest technology marketplace, with repercussions that could easily lead to the imposition of a whole tier of barriers to entry to services, apps and anything else which has then become entwined with the internet age. Look at the behavior of the Industry in the States, and it will suddenly become very clear why our own providers could be so resistant to Government led regulation, and the imposition of a level playing field which will never have the potential for the same levels of profitability as that of the alternative. Regulation that ensures a basic level of service for all and which is not itself qualified by a premium is essential. It can only be offered by an impartial third-party organisation – ideally good government – which has no financial interest in the services provided. Government is today painted as the bad guy for any industry that provides either a public-wide service, or one which can ultimately have that same effect on the population and is not currently regulated – or guided with a robust ethical code that prioritises access and consideration of the consequences of profit-making actions upon us all. This applies to the inappropriately named utility companies; companies such as the telecom providers, and also to the companies within the financial and banking sectors, where perhaps the most clear example of what happens when the fee-earners are left to regulate themselves was demonstrated by the financial crash of 2008. The relevance of the US example should not be lost on us, just as the importance and argument that now definitely exists for greater Government intervention to regulate what are and remain public services. The core reasoning of keeping essential services in the public domain was lost to decision makers of that time, through prolonged periods of low productivity and the high cost of running industry sized monoliths which were inherently resistant to change. Regrettably, the long-term gift of what are effectively now monopolies to the money markets was not considered in terms of the requirements of ethical or regulatory practice, and the escalating costs of heating and electricity are just a symptom of what happens when a service is provided to a captive market by companies that are allowed to focus on nothing but the bottom line. Sooner or later, Government will have to address these issues which face and surround all of the public services which are now in public hands. Ed Millliband has to date probably been the most outspoken of the Political leaders in acknowledging the need to tackle the impact of unbridled energy price rises. But as with almost everything else, inflicting price changes, freezes or any kind of formula without regard to the real implications of doing so is akin to madness – and certainly so if the Industries themselves are not given adequate opportunity to reform before doing so. Existing problems will be very complex to address. But for services such as the NHS it is not too late for politicians to do the big thing and tackle the problems that exist with meaningful reform. With Internet Services, it is in no way too late to ensure that the market continues to serve the best interests of everyone, and not just the few who will otherwise stand to make the most money from manipulating its harnessed profitability to their best advantage. There is much for Government to do. But before anything there must be a change of mindset to one that genuinely considers the impact of polices on other polices and ultimately upon the consequences for us all. The Internet will only come close to achieving all that it can for good if access to it is essentially the same for all. Government will need to address this, just as it will soon have to accept that the parallel world which the Net has created will require its very own set of rules. The distance which the Internet has created between us is already removing the humanity from relationships. We now need to ensure that our ability to pay is not the system of qualification for improving our lives that we should now be able to take for more than granted. If you could speak to any of today’s MP’s, back before they entered politics, and asked them why they got involved, would most of them honestly tell you that it was because they wanted to be an MP, or because they wanted to make a difference? Sadly, we all probably know the answer to this question very well. In it lies much of the truth behind not only the problems that this Country now faces, but also the uncomfortable reality that sits behind Westminster’s façade. The British political establishment is morally inept, and there is nobody offering anything even remotely like the leadership that the Country needs in order to bring balance and to deliver a system of Government which genuinely is fair and fitting for all. People are awakening to the complexities of our political system, albeit for many, they are simply on the receiving end or rather the effects of a comprehensive range of policies that have usually been cobbled together for no better reason than that of political expedience, usually because their precursor was failing to work just the same. It was once said that the simplest solutions are the most intelligent. 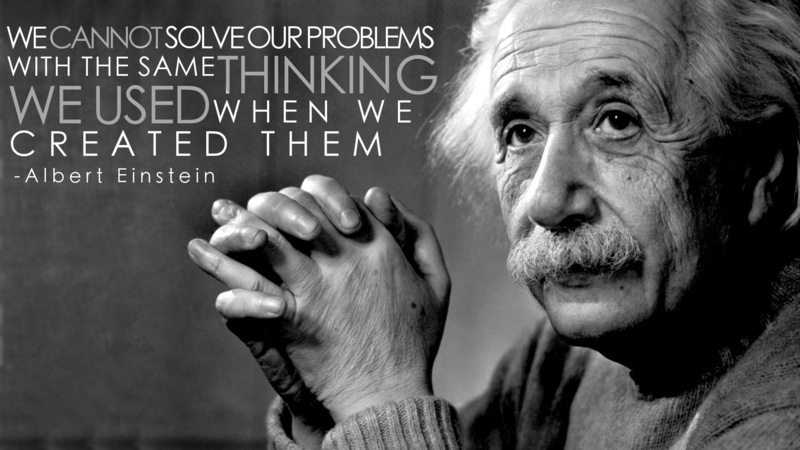 Indeed one of the most pertinent and indeed relevant quotes which relates to the way that Government operates would be Albert Einstein, when he said ‘If you can’t explain it simply, you don’t understand it well enough’. Some may question the validity of quotations from a world renowned scientist. But Government is and has been run by generations of politicians who are doing little more than testing out theories and face-saving solutions on an electorate that they have arguably treated little better than lab rats or guinea pigs. People across the demographical boundaries of British society feel that this is exactly how they have and are being treated, and the reality is that political philosophy and the other tools used to progress the interests of one group of people over another, continually fails to deliver anything balanced, or which does not have negative implications for somebody, somewhere else. We live in times when the disparity between the lifestyles of those on low incomes and those who might be considered to be financially rich, are almost permanently in the media spotlight, encouraging feelings of distance and difference which would probably best be summed up in the sense of the ‘them and us’ cultures you often find present between the tiers of managers and staff within different organisations. But rather than seek and use the many opportunities available to work with the reality that perception is everything, a seemingly continual flow of politicians gain elevation to their seats and immediately forget that they were elected to be the channels of communication and influence on behalf of the areas they represent. Often by default, they then become the slaves and ‘yes men’ to someone else’s set of political ideals – all of which usually represent very little that we would recognise as being akin to a way of working and the delivery of solutions which consider the implications and impact upon us all. Those who have direct experience of operating within the political world will know only too well that democracy today only works for those who are in charge. Hearing other politicians agree with what you say when you speak out and say something is wrong, is often followed by the contrary and white flagged acknowledgement that ‘you can’t change it as this is just the way things are’. This kind of statement certainly shouldn’t resonate with anyone who entered politics because they genuinely believe in delivering something better for all. However, the fact that so many MP’s are still seen to be sticking with the status quo says much about their motivations for being there. Whilst change has to start somewhere and many will admire Douglas Carswell and Mark Reckless for the steps they have taken, UKIP is so far untested beyond its ability to win by-elections for Westminster and seats within a European Institution which other than being little more than the glorified committee stage of a bureaucratic law making machine, would itself fail to exist for them if they were to ultimately achieve their publicised aims. At a time when the UK is effectively bankrupt, cuts and economies are being ineptly focused upon the bottom line of expenditure, rather than the transformation and institutional change which would help us ensure the future of services such as the NHS, those provided by local government and many not-for-profit organisations, rather than on the continually increasing risk which will come to us all as a result of their destruction. We desperately need a new start in politics which reflects the responsibility to the public that politicians have, rather than the retention of their seats at the next election which they want. Cynical as it may sound, we are now experiencing a form of government which begins its next election campaign the very next day after the votes were counted from the last, and you may well wonder what would have happened to us all since May 2010 if the modus operandi of having a whole 5 years to get reelected had been replaced with the battle cry ‘we have only 5 years to get something done’. The argument and justification for change becomes flawed when personalities are brought into the mix, and however we might feel about the personal ideologies or backgrounds of David Cameron, Ed Milliband, Nick Clegg, Nigel Farage or anyone else who is in the political sphere, to simply concentrate on ‘playing the man, rather than the ball’ just takes us straight back into the problem that all of them – together – are continuing to create and maintain. Likewise, jumping on the bandwagon of anarchy, propagated by probably well-meaning public figures like Russell Brand, will also yield very little long-term fruit for a population which is desperate for wholesale change for the better. Change of the kind that will serve us all well can only come from transformation of the system that we already have. Destruction of that system – however unfair it might seem to be right now – would lead to a level of uncertainty which would leave people grappling for any alternative which would quickly answer the many questions that widespread lawlessness would almost certainly bring. If you need to gain some kind of perspective on this, it might be worth considering the situation in Syria and North Iraq which precipitated the arrival of Islamic State – the true impact of which we still as yet do not know. Everything we do is now based upon mitigating the existence of fear. The most public and consequential proponents of this are the political classes themselves and until they all – as individuals – begin to acknowledge the personal fears that they have, and then rise above them and embrace the level of responsibility they have to us all; work with the risks, and then make decisions that are truly in the best interests of all, nothing is going to change. Political parties offer a refuge for those who feel they have no choice but to work with others just to get things done. But political parties are now one of the biggest elements of the problem itself and political philosophies are little more than a trap for those who do not have faith in anyone’s ideas, other than their own. Whoever you vote for in 2015, without change on the level that politicians all now need to embrace, we are simply heading for a lot more of the same, and probably in way which will be far worse and more painful than anything we have witnessed or experienced before. Thinking about others and how our actions will impact upon them isn’t just some kind of selfless sport or charitable notion for those who have spare time and money on their hands. By considering others, we ultimately consider ourselves. Politicians on all sides and at all levels would do well to bear this in mind and remember that by concentrating on the real issues that face them today, the electoral results for tomorrow will in turn take care of themselves. Glory is little more than a temporary illusion which benefits no-one in the long term. It should be just the happy consequence that it is, rather than the reason for being and doing itself. You can’t really help but admire the audacity of Sir David Nicholson, the outgoing head of the NHS, for his latest attempt to sidestep and cover the tracks of his questionable tenure by shining a light on what could become a £30 Billion deficit within the NHS. His failure to fall on his sword over the Stafford Hospital outrage was beyond what many will agree as being in good taste and was compounded yet further by his indignant refusal to accept any form of responsibility, despite being the Executive Officer at the very top of the tree and arguably placed within the one position where there simply is nowhere to run or hide when it comes to carrying the can for mismanagement on what appears to have been an unprecedented scale. The most regrettable facet of this latest twist is that the lack of respect which Nicholson holds with people now will surely deflect attention away from the cold reality of his message, which in a perhaps more capable set of hands would have not only been brought to public attention much sooner, but effectively acted upon too. Many of us already realise and understand just how serious the problems throughout the NHS actually are. In local politics, where we closely scrutinize the real-world impact of ward and department closures; the centralisation of services, and the amalgamation of GP’s practices into so called ‘community hospitals’, there has been little doubt for us all of the real purpose of such changes for a considerable time. Cost aside, the principles upon which the National Health Service were created and the application of universal care are still however very much valid even today. But it is the continued compromise of those very principles at their heart which has led to the seemingly insurmountable financial and management problems that we face today. These were principles that were intended to prioritise the care of the end-user; not the interests of managers, union leaders and politicians, who have all had something to gain at various points by moving those priorities elsewhere; often at everyone else’s cost. Any commercially run business or ethical organisation is created and run to efficiently provide a particular product or service to its customers. It is not created or subsequently evolved to disable itself by prioritising the working conditions of its workforce and certainly not run for the benefit of harvesting statistics as part of some politically expedient mind warp which is simply designed to spread the message that things are running far better than they actually are. Tragically, this is pretty much in a nutshell what the NHS represents today and evidence would suggest that people are dying needlessly as a result of it. It’s not as if health professionals are oblivious to the realities of the situation either. Talking to a career nurse only a few weeks ago who freely admitted that she had been a lifelong socialist and Labour Voter, even I have to admit to my surprise when she clearly told me ‘Adam, I love the idea of socialism and what it stands for; but in my experience, it simply doesn’t work’. Herein lies the greatest problem with the NHS; Its culture. The culture within the NHS is the base issue which much be faced, understood and addressed if the Organisation as we have known it and the services that it provides are to be saved and our society is to be protected from the arrival of either tiered health provision across the board or UK-wide service which is only made available to those who can pay as they use. 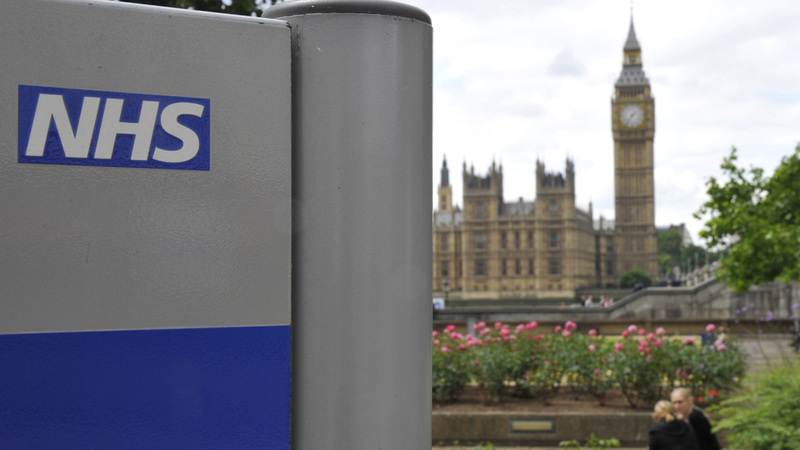 Right now, we are all witnessing the preferred method of dealing – or I should say – avoiding reform throughout the NHS, NGO’s and the tiers of Government, which presents itself in the form of privatisation. Privatisation of any Government funded service has arguably become nothing more than avoidance of the need for reform at its worst because services are never the same when profit is the master. Furthermore, recreating public-run services once they are lost will be a whole lot harder than the reform which most Politicians already seem to see as impossible. The only way we will keep and maintain the NHS as we have known and appreciated it in terms of what it offers the public will be the result of transformation and change which must begin with Government and work its way right the way through. The NHS is strangled by the culture of workers’ rights, tiers of managers who barely understand what practical patient care is, Europe and the rise of the blame culture, where practitioners are increasingly forced to consider the bureaucratic pathways to treatment first, before addressing the urgencies and acuteness of clinical need. Ironically, such delays may of course be little hindrance to treatment for the people who will be looking for an opportunity to sue them either. Government must act now to change and support the whole working culture of the NHS and put patient care back at the forefront of everything they do, rather than putting everyone else and the profit hungry ambulance chasers first. It’s not an easy job by any means and most of us do appreciate that. But Governments get elected to take responsibility for big problems just like these; not so they can talk up the delivery of results when what they seem to be doing is looking for the easiest way out of problems they just aren’t responsible enough to face. The patients of today and tomorrow don’t care about statistics or the money that providing treatment costs. What they do care about is trusting that they can rely on getting medical help when they need it; where they need it and without worrying whether or not they qualify for it. Every day, the number of people who simply don’t have that trust are growing rapidly, and each new day is a sorrier one than the day before. If Government keeps treating the problems in the NHS as if they all revolve around money, the cost of running the service will probably lead to its end. It’s time for change throughout the NHS. But real change is about much more than simply saving money. I will not be alone in wondering just how wasteful the whole Leveson Inquiry and the blustering about press regulation will turn out to be when the dust has finally settled. With news coverage alerting us to the invitation for Rupert Murdoch to return to face MP’s over the phone hacking scandal and Rebekah Brooks and Andy Coulson still months from their Trial, it’s a fair bet that this will all roll on for some time yet. But with the cost at great risk of extending itself well beyond money and into the realms of press freedom and the free flow of information itself, it seems rather strange that nobody is talking about anything other than placing restrictions upon the media, when the issues at the heart of all this are far more universal and basically touch us all. Phone hacking, listening to private messages or conversation, bribery and any other form of intrusive behaviour are not essential journalistic skills in either a professional or academic sense and it’s fairly certain that such behaviour is not restricted to the activities of a few over-eager hacks wishing to make their mark in the National press. Like most industries today, newspaper companies exist with one purpose in mind and that is ultimately to make money. Whether that is through increased circulation of existing titles or through expansion, the purchase or launch of others, or the diversification into other income streams, it basically doesn’t matter. Whether this makes comfortable reading or not, few businesses actually exist today to be the best at doing what they do. They don’t look at the long term benefit of best service, or consider the smiles on the faces of customers who feel they have been well looked after; they look at the bottom line and how to make it that much bigger. Making money for any business relies on motivating staff and in a world which worships money as its master, financial incentives can very quickly push employees to blur the edges between what most would consider to be wrong and right if the end result is worth it. So the hacking scandal is unlikely to be anything other than consequence or the result of cause and effect in basic terms. 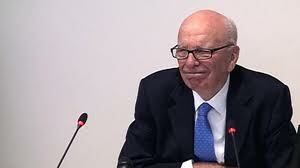 Love him or hate him, its extremely unlikely that Rupert Murdock would have ever consciously encouraged or even condoned the questionable behaviour of his staff and what they have allegedly done, however much some would like to imagine so. However, a company culture that might be considered to indirectly, unintentionally or inadvertently encourage illegal behaviour on the part of individuals in the pursuit of bigger headlines or pay would however be a different thing. But even then, that would not in itself be a matter for Legal intervention or regulation, as it has nothing to do with journalism itself. It might however have everything to do with people and the decisions that they make when they have no respect for barriers. The bigger picture here is that British society today is on a slippery slope when it comes to basic politeness, manners, doing the right thing or what some of us would agree as having ethics. People of all kinds are now regularly failing to consider the simple consequences for others as a result of their actions, or in extreme cases ceasing to even register that consequences other than a big pay day might even exist. This is a problem which is beginning to affect us all. Sadly, we are in the position where leadership at National level is woefully lacking when it comes to dealing with the question of ethics for us as members of the wider community which makes up our Nation. Whereas Rupert Murdoch has already demonstrated his propensity to be ruthlessly efficient in the application of change where it is needed in closing the News of the World, the people with the real ability to influence change in the way that we all think and look at the world we live in appear to have no such gumption. Those guilty of phone hacking should receive their just deserts, much as we are right to expect with any breach of Criminal Law. But press regulation is little more than another exercise of smoke and mirrors covering the incompetence and inaction of Government in addressing the underlying issue of ethics which runs through so many of our problems and gagging the media will never be an answer. Desperation, the emotion it brings and the knee-jerk response to any opportunities that might even just temporarily stop the cause of that pain, can lead those of us experiencing it to do what others may consider to be some pretty illogical things. The prospect of escape at any level can certainly lead to the failure to consider detail that any one of us would normally think about. And when events feel like they have brought our lives to the edge of a precipice and no other answers are coming, would we really care anyway? The point is being tragically missed in Government that disposable income is falling fast for everyone who is unable to obtain anything beyond standard ‘cost of living’ pay rises; that ‘standing still’ or ‘treading water’ financially has become all but impossible for a great many people, and that this downward slide is hitting those with the smallest incomes hardest of all. In some cases, cutting back on luxury items simply isn’t enough to counter the escalation of monthly, weekly and even daily costs which must be met just to survive. Prices on items like fuel for travel, car parking, travel tickets, basic food, clothing, utilities and communication escalate with what feels like jaw-dropping regularity and very few of us other than those charging the fees actually believe that such inflation is genuinely sustainable. Even those with comparatively good household incomes have cut back and whilst some would argue that reducing the regularity of nights out, buying new clothes or downgrading the annual holiday will hardly make a difference, many of these same people are now using savings or high street credit cards to balance their household books in the hope that things will soon change. But for some of those with less, hope of that kind simply isn’t an option. Living hand to mouth is a phrase that many will consider an anachronism and borne of a different era. But for many on the lowest incomes, the reality that money is gone as soon as it comes into their hands is very real indeed, so the prospect of ‘a couple of hundred quid to keep things tied over til the end of the month’ coming at you from the TV screen can for many seem a very easy, perhaps timely and almost certainly an attractive way out. But a quick yes followed by the receipt of cash within minutes can easily overshadow the realities of what may be sold as a ‘Payday Loan‘. With interest charged at a rate of let’s say 1000% calculated as an APR against a loan for a year (per annum or P.A.) of for example £100, the charge without any repayment over one calendar month would be a fee of £83.33. And when you take a quick visit to the internet and see that ‘Representative APR’ or interest rates go up to nearly 6000%, you can see how easy it is to make a difficult situation one which will quickly become completely horrific. With perhaps as many as one million UK households using Payday Loans each month, you would hope that the Coalition would be doing much more to address the financial issues which everyday people are facing generally. At the very least it would be more than reasonable to expect them to take real action to address what some would argue as being a sanitised form of loan sharking by casting a legislative net across this very dark and murky pool. But with a Government which has gravely missed the point that real savings in the long term requires the pain of real and meaningful reforms in the short, they also appear to have very little idea how passively influential they are being in guiding ever more people towards the first steps of the negative debt spiral, that in today’s economic climate seems all but impossible for many to then escape. Put simply, no action is action all the same and this action is helping nobody but the loan companies themselves. Regulate the Payday Loan ‘product’ and enforce a ceiling on interest rates to a manageable level. The fact is that a £25 charge for £100 over a month would still equate to an APR of around 300%. Even at half that if you give generous consideration for what are probably very small administrative costs via the Internet, that still leaves a profit of £125 on every £1000 lent every month or £1500 over the course of a year. Pretty good money even then! Take greater control of the credit assessment processes run by the finance industry which have disqualified many Payday Loan users from gaining mainstream credit and effectively pushed them into the hands of the unscrupulous. 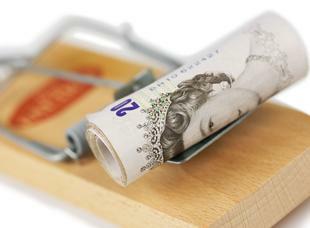 Push for mainstream lenders to begin offering the Payday Loan ‘product’. If necessary develop a method to provide a level of guarantee through direct access to the users source of income and Legislate accordingly. Create a Government owned ‘Peoples Bank’, run as a not-for-profit on commercial lines, which has an appropriate level of altruism in its approach to support those who really need it, whether they are domestic users or even small businesses who need the financial leg-up that nobody else seems willing to provide. There are many more ways that Politicians could help the people in need who Elected them to Office if they really wanted to try. The biggest step they could take would be to acknowledge that the power of any Government extends way beyond the services that it pays for and then act, knowing that this influence should and must be used to its fullest when the behaviour of any person, group or business is having a negative or detrimental effect on any part of our wider community for no other purpose than making unreasonable levels of profit. The reality is however that increasing numbers of Taxpayers are now paying for a system which is failing to support them when they need it most, and then paying way beyond the odds for an alternative form of support which isn’t actually supporting any one of them at all. Without the Coalition even talking about the need for Britain’s lowest wage earners and genuinely-benefit-dependent to be able to maintain a basic standard of living between payments, it is not only finance companies who should be branded for irresponsible practice. Failing to deal with just this one of so many different problems facing this Country is simply storing up more trouble for yet another day and in all likelihood another Government. And whilst the absence of an overall majority may suit Politicians who don’t have the heart to do their job, everyone else is still suffering. If you have found and read this blog because you are experiencing financial hardship in any way and are looking for help, please know that there are real people out here who care; who want to help; and that some of them might even be Politicians! There are some really helpful Charities and Debt Advice Organisations who will do everything that they can to support and guide you through the issues you are facing, or possibly help you to find even more people who can. A couple worth trying are the Citizens Advice Bureau who may have an office you can visit near your home and the Step Change Debt Charity (Formally the Consumer Credit Counselling Service or CCCS) who can also be called on 0800 138 1111. If things already feel like they have gone too far to try and make sense of, there are also the Samaritans. Contact any of these Organisations and you will speak to real people who are genuinely there to try to help and are not there to judge you in any way.